Perfect timeline software with lots of build in timeline examples. Easy to learn how to draw a timeline. 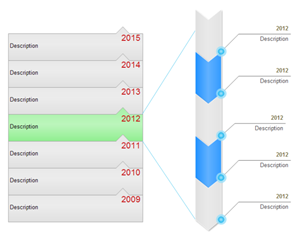 Free timeline examples and templates are available in various layouts in the software package. Besides, a wide range of built-in shapes and symbols are included. Drawing a timeline couldn't be easier! 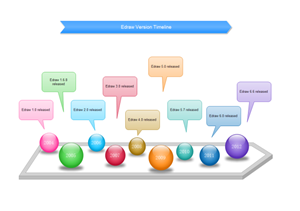 The following timeline example shows the Edraw project version history. You can find the example in the software example gallery. 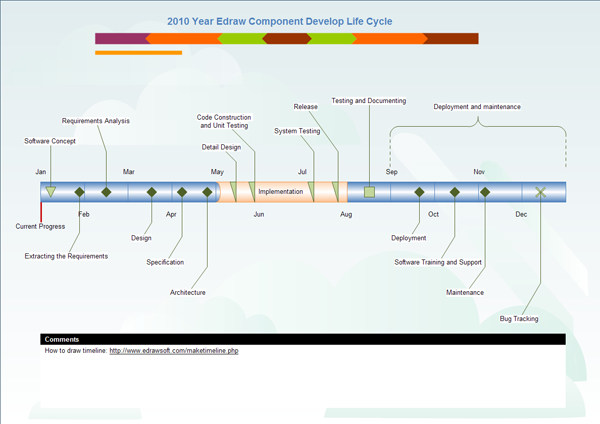 The following timeline example shows the Edraw component develop life cycle. Through Edraw Max, all the templates can be easily customized, just download and add own texts, resize or move shapes, add pre-drawn clip arts and change color and line styles. A presentation-quality timeline will be done in just minutes. When it's done, you can easily print or export the diagrams to PDF, Microsoft word, excel, ppt formats, or save them as images. Click here to see how to print and export timeline files. 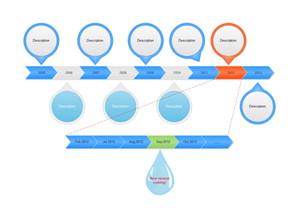 A useful and flexible timeline template in vector format is available to you. 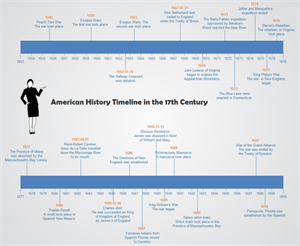 With a neat and an innovative design, this timeline template will surely catch people's eye when you use it in your presentation. 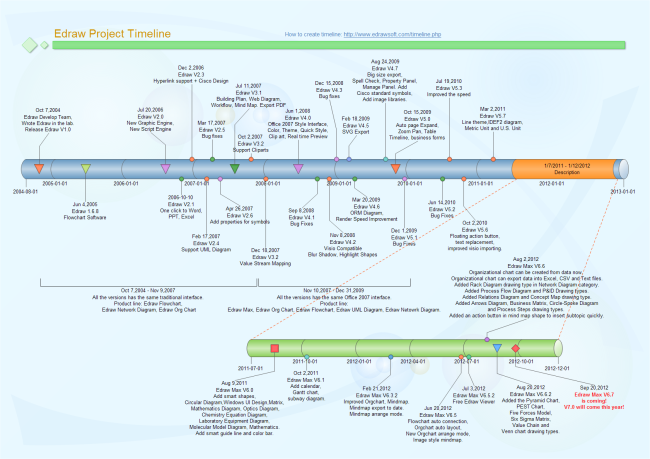 Anyone can use this editable template to represent your own timeline diagrams. 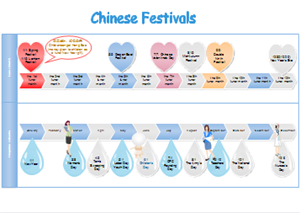 This is a creative timeline that shows the major Chinese festivals chronologically. For more information, please read Introduction to the Main Traditional Festivals. Click the picture to view large version and download it. It's clear and intuitive to display historical events in terms of timeline. Edraw offers the full set of timeline elements for designing any kind of timeline. 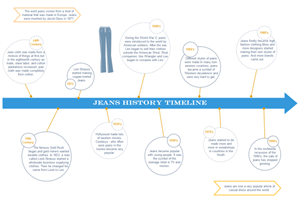 A timeline example showing the history of Jeans industry. Download and use this template to present your own content. 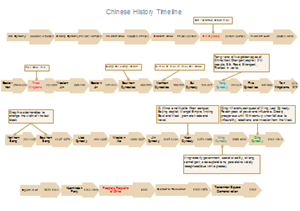 A unique timeline example about Chinese history. Combined with callout shape, the history chronology become clearer.